About This Issue | Reimagine! We’re excited to present the Winter 2004 issue of RPE, a joint project of Urban Habitat and WE ACT for Environmental Justice. 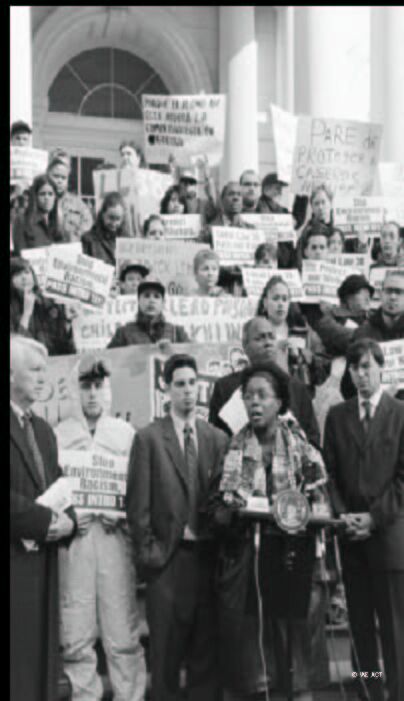 As Urban Habitat was brainstorming the topic of science’s role in the EJ Movement, WE ACT had recently finished guest editing the April 2002 issue of Environmental Health Perspectives, a scientific journal that featured 24 articles about community-based research in communities of color. This joint RPE issue enables us to bring some of that research, as well as new ideas and case studies regarding the place of science and research in the EJ Movement to a broader audience of individuals and organizations working for social and environmental justice. The issue is designed to tackle some key questions: What are the legacy and limitations of science, research, technology and public health methodologies that underpin environmental policies? And how has dependence on existing paradigms of science perpetuated environmental racism? In the first section of the issue, three knowledgeable leaders address the role science has played in the EJ Movement. Azibuike Akaba of the Neighborhood Environmental Indicators Project in Oakland presents the big picture, while Karen Pierce of Bayview Hunters Point Community Advocates (in San Francisco) and Shawna Larson of Alaska Coalition Against Toxics offer their local perspectives. In the next section, WE ACT’s Environmental Health Director, Swati Prakash, examines the often unspoken problem of uneven power relations between communities of color and academic and government researchers and institutions. Her article suggests specific strategies for forming more equitable research partnerships. This analysis section includes an article that dissects the problem with the dominant scientific method used by mainstream scientists to evaluate environmental risks—risk assessments. Articles also offer an overview and analysis of community-based participatory research or CBPR. This issue presents a number of model case studies that illustrate how communities and their allies have begun to “take back” science, including: a nuclear hazards management campaign initiated by Native Americans in the Southwest; a community-driven diesel study that resulted in concrete changes for residents of West Oakland; an asthma survey and campaign conducted in New York’s Chinatown; a coalition effort to block hog industry expansion near communities of color in North Carolina; and youth-driven research in Massachusetts. We round out this section with snapshots of additional models for EJ advocates to learn from and emulate. As always, RPE ends with a look toward the future. In the final section, contributors discuss such strategies as “holistic” environmental decision-making that takes into account the social, cultural and spiritual practices of communities. In another article, the Environmental Health Coalition advances the idea of using research results to not only combat specific sources of toxics but to also promote the principle of precaution. Finally, the Golden Gate Environmental Law and Justice Clinic offers a list of standards for fostering more just environmental decision-making. All in all, the issue serves as a call to action for low-income communities of color. To protect our communities, the EJ Movement must engage in the debate over environmental science and research, and become active participants in shaping the decisions that affect our lives. Credits, Vol. 11, No 2.